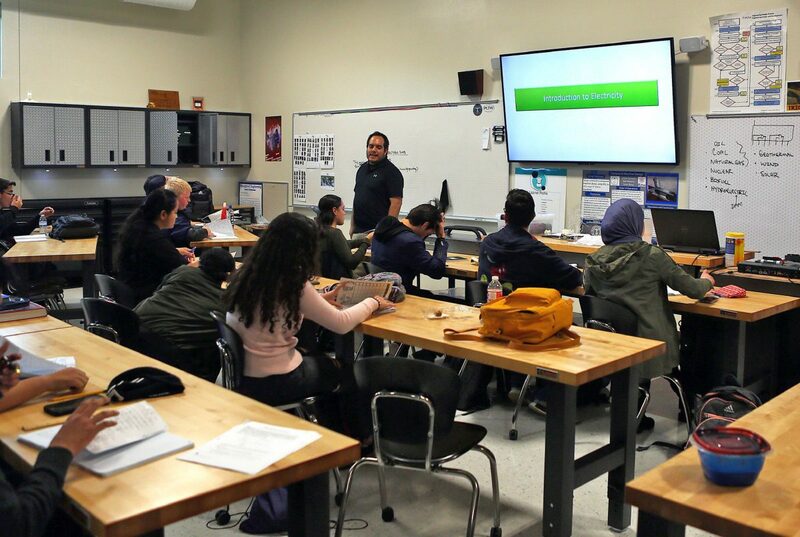 Students listen to instructor Gabe Valdez in an engineering class in the Congressman Ruben Hinojosa Innovation Lab at the South Texas ISD Science Academy on Friday in Mercedes. 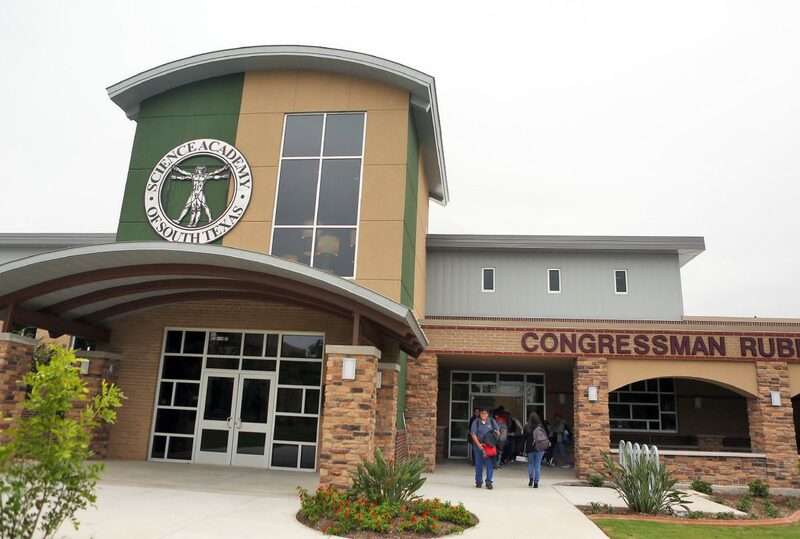 MERCEDES — Everything about the new 30,000-square-foot building here at South Texas Independent School District is about exposure, from the large classroom windows leading to hallways to a nearly wall-less giant lab right in the middle of the building containing industrial-sized equipment. The entire design is meant to allow all students to look at each other’s work to get ideas and even encouragement from the process. The district broke ground on the new building in November 2017, and it was dedicated as the new Ruben Hinojosa Science Academy Innovation Lab this weekend in honor of the former congressman who represented the region at the House of Representatives for 20 years. Lathes and other lab equipment are seen in the Congressman Ruben Hinojosa Innovation Lab at the South Texas ISD Science Academy on Friday in Mercedes. Students walk from the Congressman Ruben Hinojosa Innovation Lab at the South Texas ISD Science Academy on Friday, Oct. 19, 2018, in Mercedes. The total cost of the building itself was about $5 million. This is the first semester of students occupying the new classrooms, and the teachers are enthusiastic about the new lab area, aiming to afford these high schoolers a leg up in the game by introducing them to equipment they might not otherwise see until college or in the workforce. 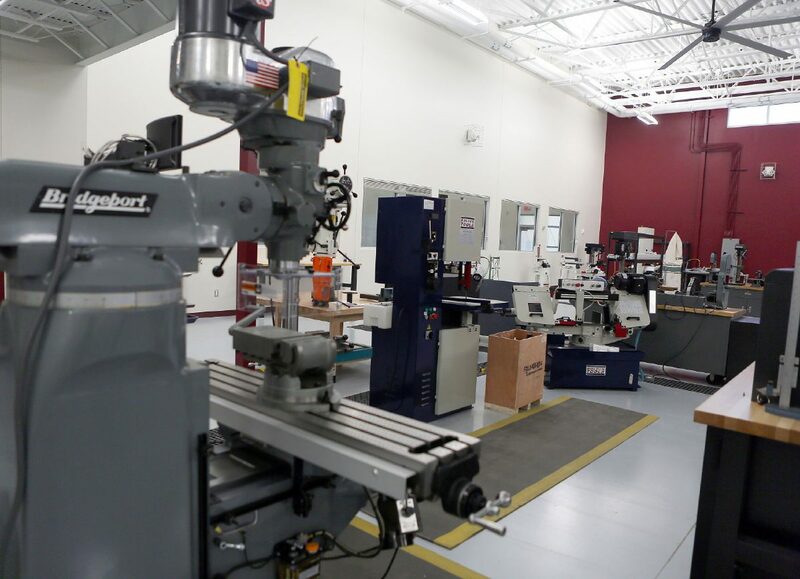 Students can now begin to learn how to use the lab equipment like CNC mills, CNC metal bending machines, tool sharpeners, drills, band saws and welding equipment, among many others. While in the classroom they also have an industrial setting in which they are encouraged to move around, create, and even peek through the windows to see what their classmates are working on. The switch from theory to practice is an important one, most teachers at the academy said, as they want the students to learn early on about the importance to have the hands-on skills. It is not the same to design a product in your mind or on a computer to executing it not only as imagined, but as something functioning in the real world, said Dale Coalson, civil engineering and architecture teacher. A group of about five teachers and their program leader James Mills, who taught 20 years at UT Tyler, had a wishlist for the building and input in its creation. They all echoed the sentiment of aiming to give the students as much exposure as they could early on.